The world’s most famous Sapphire is now at the center of the large cross on top of the Great State Crown of Queen Victoria. However, the story of the stone dates back to 1042 when, during the coronation of Edward sapphire was inserted into a special coronation ring. 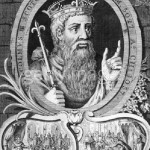 One day the king and his entourage rode to Westminster Abbey, in order to kneel and pray. And at the high walls of the fortress surrounding the Abbey, he met a ragged old beggar. 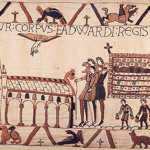 Edward didn’t have money with him, but a good heart though ordered to do something to help. 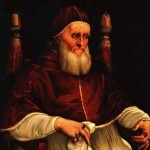 Then he made an extraordinary act – took off the sapphire ring and gave to the beggar. 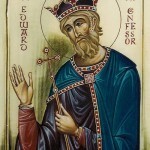 Many years passed – Edward the Confessor ruled in peace and harmony, forgetting and remembering of donated ring. But one day two pilgrim, the Englishmen, who had just returned from the arduous journey to the Holy Land. 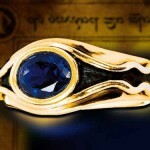 And they gave to the king … the old sapphire ring! They told the amazing story: once they got in a sandstorm, had no hope to survive when everything suddenly lit up, and an old man appeared in front of them, went to the two young men with torches in their hands. A mysterious man learned that the pilgrims’ homeland was England, ruled by Edward, without saying a word he made a sign to follow him, and soon brought them to the hotel. After a rest and sleep, the British were going on a journey, when the old man came to them, took off his ring with blue stone and told them to give it to the king. “Who are you?” – Asked the astonished travelers. Hearing the words of John Edward immediately began to prepare for the impending death and he died exactly six months later – and in heaven they met. 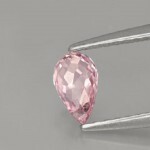 However, the story of the sapphire is not over! 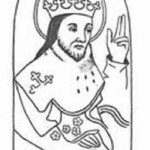 First, the ring was left on the finger of the deceased ruler, who was buried in Westminster Abbey. 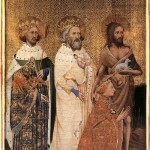 Two centuries later the grave was opened – the body was in a very good condition. 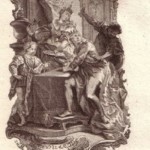 It was recognized miracle to be closely connected with the beautiful ring that was removed from the hands of the king and put on public display. 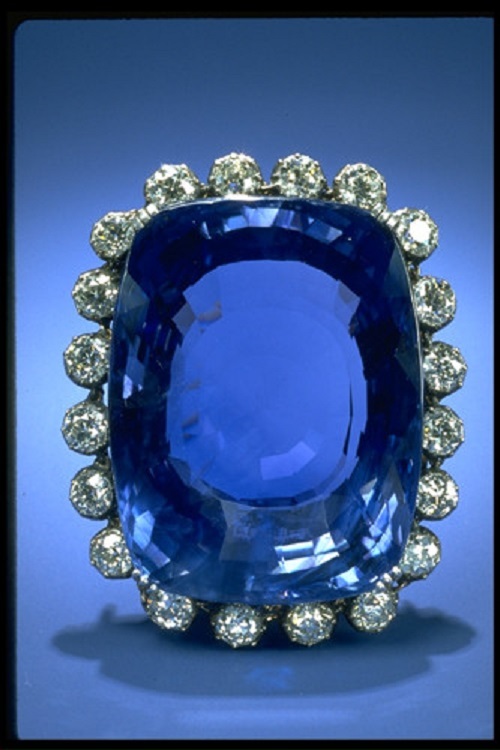 For a long time crowds of suffering flocked in the Abbey – it was believed that touching the sapphire would cure epilepsy, paralysis and even blindness. 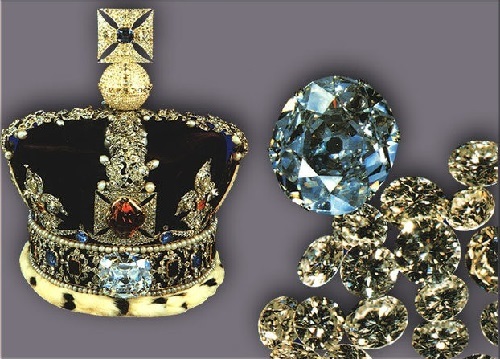 Then the stone was placed in the state treasury, whence it migrated to ornament the crown, which is proudly worn by many generations of British monarchs. It is no accident, according to the Bible, the heavenly throne is made ​​of sapphire. The ancient Persians believed that the blue of the sky comes from a giant sapphire, on which rests the earth. 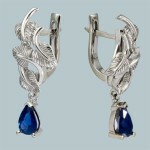 Sapphire is also a symbol of strong belief and protects its wearer from treason. Buddhists believe that this stone can open locked doors and habitation for the human spirit. But those who wear them should lead to this holy life. According to historical sources, some rulers of the past wore rings with sapphires. It is known that such decoration was Alexander of Macedon, as well as in Mary Stuart. In the Middle Ages, sapphires were called “bishop’s stone” because, according to popular belief, it was the symbol of the highest spiritual values ​​of man. 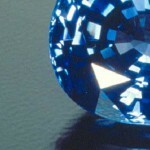 Naturally, all this applies only to sapphires of perfect purity, free from cracks and muddy areas. Such stones – with defects – can only bring trouble and sorrow. According to belief, the defects and cracks of sapphire come from infidelity, immorality, and treachery of its owner.